I am a smoker. I have smoked since I was 12 years old I am now 40. I have been smoking for 28 years. I have a 16 year old and a 4 year. The only I time in my life I did not smoke is while I was pregnant. I just found out that my 16 year old is smoking cigarettes. It breaks my heart. It is really time for me to quit smoking!!!!!!!!!! I am so sorry. Just having quit myself not sure how much weight this will hold, but maybe make a pack with your 16 year old for the both of you to quit smoking? If nothing else, reach the point where you quit and seeing you quit may help your 16 year old see the changes in you and quit smoking him/her self. Thank you, this sounds like an excellent idea. I always feel bad for my influence on my children all of them have smoked but my daughter quit 15 years ago and she inspired me to quit but I still smoked for years. My sons still smoke and i hope they quit before they suffer the consequences. I am so glad to finally be free ! Quitting will help you feel better about yourself and may inspire your son to quit. we can't do anything about our past mistakes but we can change today ! One day at a time ! My eldest daughter also smokes - nothing I can do about it now. Being an example by quitting now is the BEST thing you can do! I don't think it is a coincidence. One year after I quit smoking, my son stopped drinking. They watch what we do. You can do this. You have come to the right place to quit. You will find lots of support, links to reading, and maybe some hard love when that is needed. Thank you Larry, I really think this will be useful for me as a lot of my family members smoke. Two of my three kids smoked...one has quit, the other still smokes. I did not smoke when I was pregnant either. I am so glad my oldest quit, I am "working on" my middle child to recognize how bad smoking is for him, he has asthma and it's CRAZY that he smokes. You can quit here because you will get all of the education and support you can ask for. This is an amazing community and I could NEVER have gotten to this point in my quit (3 years and 9+months) without the support from this site and the amazing people here. Stay close, read blogs, comment, ask for help and advice and then LISTEN to it...your recovery needs to be one day at a time, one step at a time. Welcome to EX Lovemy2boys glad you are here. Guess it's time to get pregnant again! (just kidding, of course) If you could quit for 9 months two times, you can do it again. If it helps, think of it in the same way you did back then. You did it mostly for the benefit of the life growing in you, right? Well, you have a life growing in you now. It's YOUR life. Your children need you and love you just as you do them, and did when they were in the womb. But you really have to do this for YOU. Ultimately we have to be self-disciplined for ourselves, not for someone else, in order for the discipline to last. Yes, it IS time to quit for good. For you. Chin up. I see quitting as a skill that can be learned. Just like any skill. It takes motivation, study, application, dedication and perseverance. We know you can quit. Now all you have to do is believe it yourself and go for it! WOW! Thank you. Your post made cry and think..... 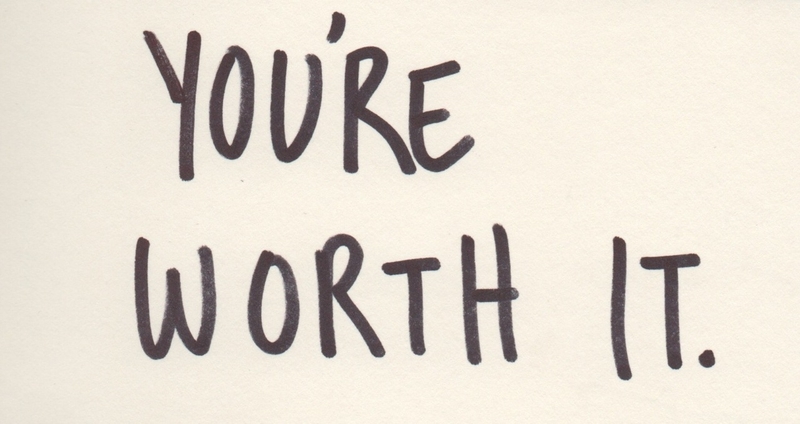 I am worth it!